MERRITT ISLAND, Florida — For the first time in 60 years, a tropical bed bug that can develop more quickly than the common bed bug has been confirmed in Florida. For decades, modern pest control methods kept common bed bugs mostly at bay with various chemical treatments. Then scientists saw a resurgence of those bugs in the late 1990s and 2000s. The same thing may be happening with the tropical bed bug, University of Florida Institute of Food and Agricultural Sciences researchers speculate. 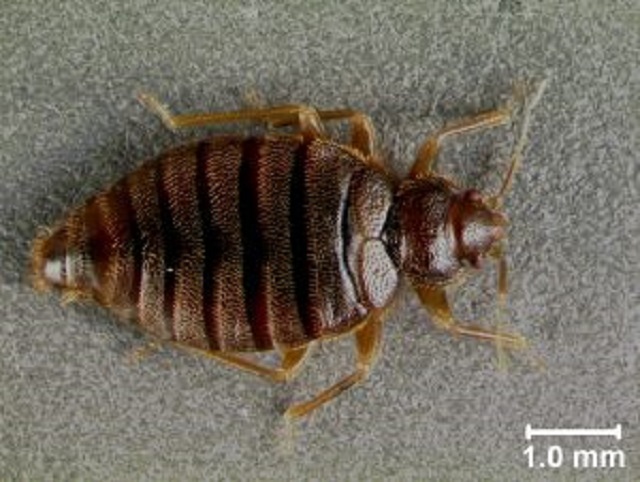 Tropical bed bugs hadn’t been confirmed in Florida since the 1930s and 1940s. In 2015, a family in Brevard County reported tropical bed bugs in their home, said Brittany Campbell, a UF/IFAS doctoral student in entomology. UF/IFAS scientists confirmed the bug finding in Merritt Island, Florida, and so far, that’s the only confirmed case in the Sunshine Stae. But researchers think it’s possible they’ll find the bug in other parts of Florida and, in fact, the South because it lives in tropical and sub-tropical climates. Other than its geographic preference, the tropical bed bug is similar to the common bed bug, which is found in all 50 states.